This is The Tractor Expert. He knows a lot about tractors, farm equipment, and all sorts of machinery that make noise and move things around in a loud, destructive/constructive fashion. 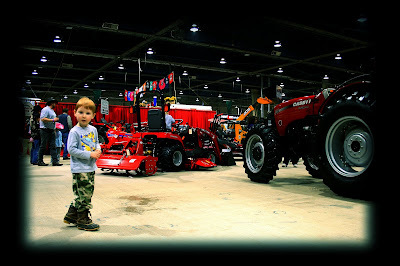 Today he is at the Pennsylvania Farm Show - a week-long extravaganza of farm equipment, farming supplies, pigs, goats, chickens, cows, milkshakes, butter sculptures and gewgaws galore. Right now, he is on his third ice cream. Farm Show is a lot like camping: Mom lets you eat a lot of junk. 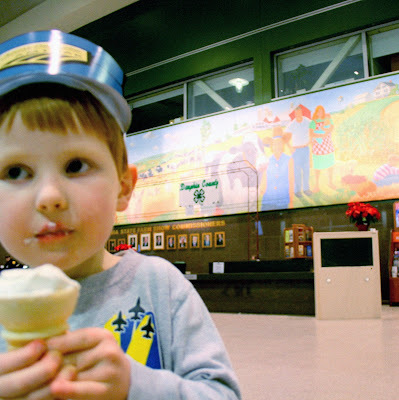 Eating ice cream is also important if you are a Tractor Expert. Here are some of the many fascinating tractors you will find at the Farm Show. Some people think the only kind of tractor is a John Deere. While John Deere tractors are extremely awesome, they are not the only kind. The world is filled with many types of cool tractors. The Tractor Expert says, "Peace. There is room for all here. So much awesomeness." The Tractor Expert knows that where there is large machinery with pointy, jabby, rusty bits - plus animal dung - there will be tetanus. 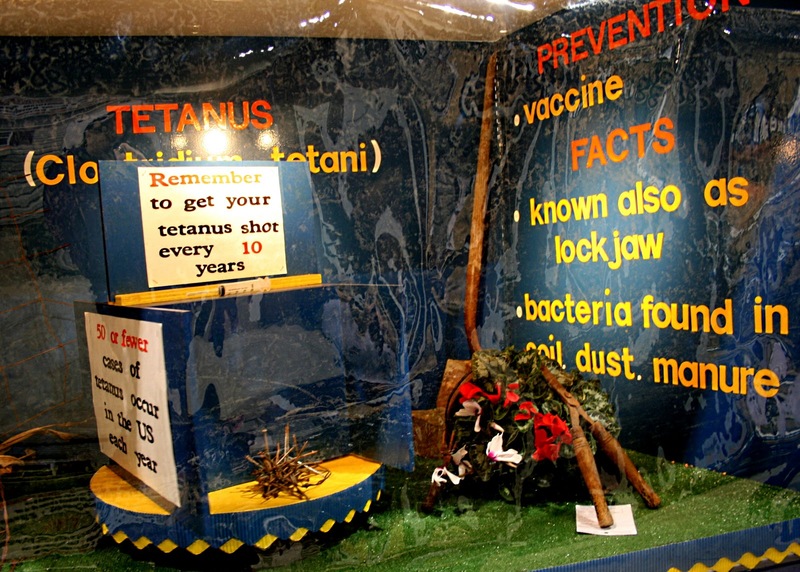 You don't want to get tetanus. Tetanus could seriously ruin your ice cream eating plans for the weekend. What with the locked jaw and what not. Sure, not a lot of people get tetanus these days. Still, this is a convincing display. It even won a prize. The Tractor Expert does not know what the brown tube-shaped clump is supposed to represent. Although, it's entertaining to think it might be tetanus-riddled animal dung. 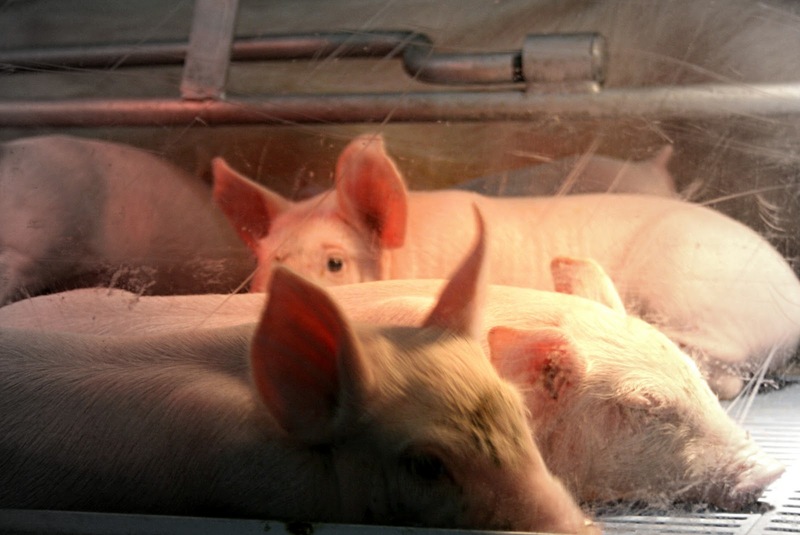 Here are some Farm Show piglets. The Tractor Expert knows that life can't be all about tractors. Some days, you need to find your joy in other places. Like looking at these cute, sleeping piglets. The Tractor Expert wanted to snuggle a piglet. However, he was reminded that piglets - pretty surely - would not go lightly into being snuggled. Still...one can dream. 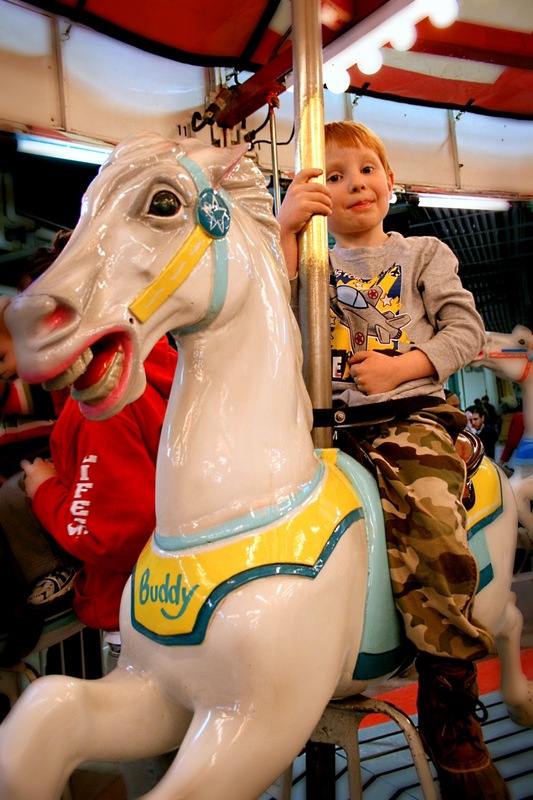 Here is The Tractor Expert on a carousel horse. 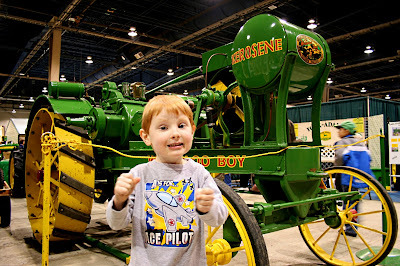 The Tractor Expert looks like he is grimacing in about-to-pukedness after so much milkshake and ice cream and apple dumpling, and now being whirled around on an up-and-down pony. This is not, in fact, why he is grimacing. The Tractor Expert is grimacing because he hates the camera flash. It didn't matter how many times the photographer reminded The Tractor Expert that the flash was not on (thus the many blurry photos). He still made that face mostly. This is a premium old-timey tractor! The best thing about this tractor is that it looks like it's called "Kerosene Boy". Which would be a great name for a steampunk superhero. This is the famous Butter Cow. The Tractor Expert wondered how the Butter Cow sculpture was made. The photographer helpfully explained that the Butter Cow was designed and crafted using magic. The Tractor Expert pondered this answer and then accepted this as a reasonable explanation. The photographer is also available for kids' birthday parties and tutoring Calculus. 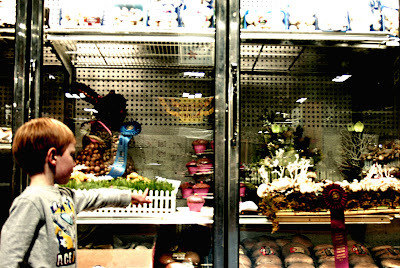 This is The Tractor Expert pointing out some of the award wining mushroom displays. The Tractor Experts was uncertain whether the cupcakes were real cupcake, or whether they were mushrooms designed to look like cupcakes. This also happened to be a question the photographer once asked herself sophomore year in college. Although, this was after she had already eaten a mushroom cupcake. Don't eat the mushroom cupcakes. It will be at least Sunday afternoon before your roommate's face stops looking like the Cheshire Cat and someone notices that the Jefferson Airplane album has been skipping for twelve hours. The Tractor Expert never once questioned why someone would also make a rabbit sculpture out of mushrooms. The Tractor Expert is accepting. Also kind of naturally wacky. 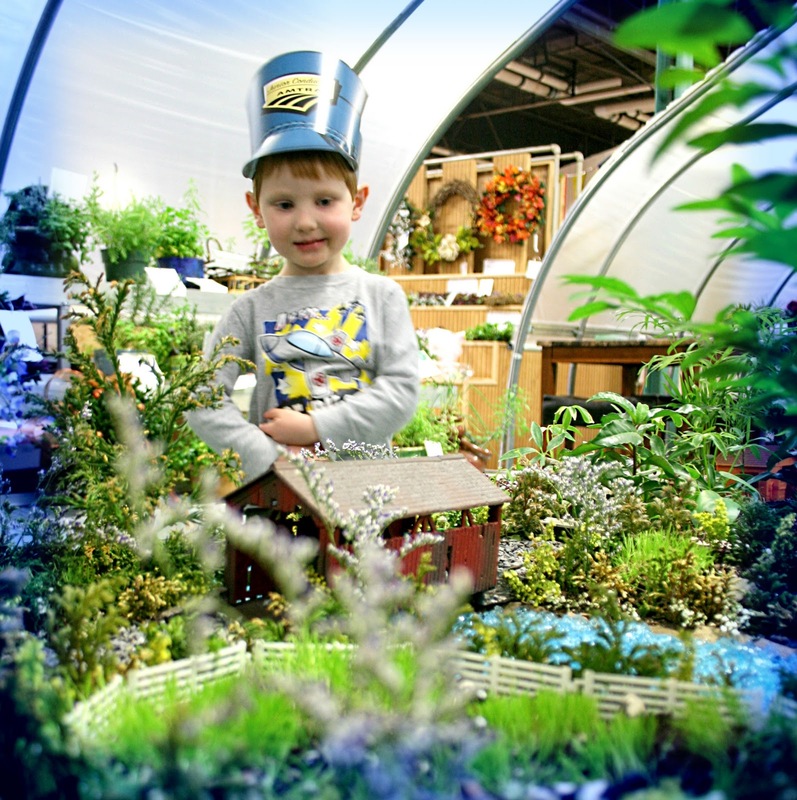 This is The Tractor Expert in a greenhouse wearing an Amtrak conductor hat and studying a miniature garden diorama made of Lincoln Logs, plants and aquarium stone. 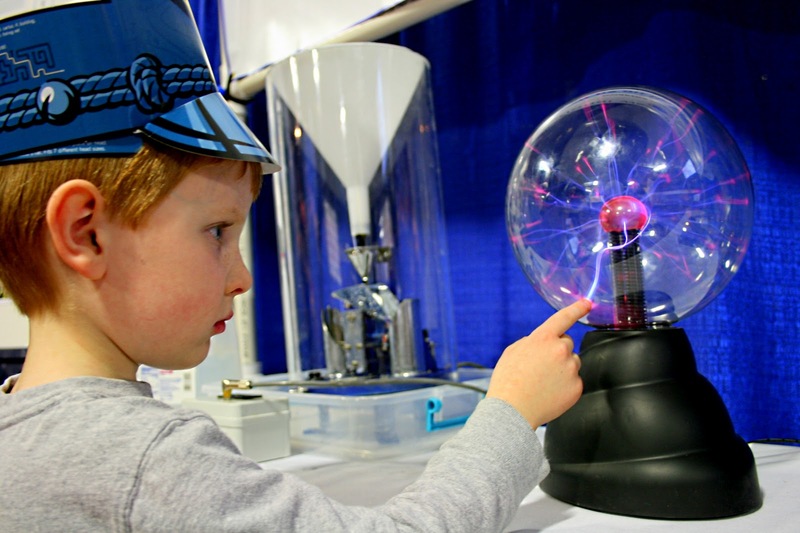 This is how you raise a creative out-of-the-box thinker. 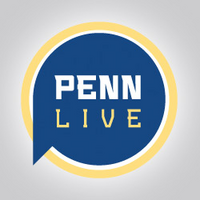 Pennsylvania farming country is, evidently, chock full of them. They're kinda of eye-rollingly bad. But you kinda also want one. 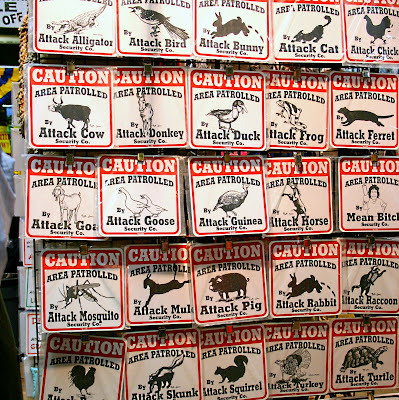 The Tractor Expert thought the Attack Turtle was an excellent notion. The photographer was looking for Attack Pony for a friend whose pony attacked and killed a llama. It's the kind of thing you'd think would only turn up in a Tom Robbins book. But no, it really happened. Here is The Tractor Expert at the weather exhibit. The weather exhibit was an educational display about all the ways that nature tries to bugger farmers with lightning and tornadoes. There was a movie on video loop of a category 587 tornado wiping out all of Kansas, pretty much. It was very scary. The Tractor Expert touched the glowing orb and said a small prayer for all the really cool farm machinery that has gone on to greener fields after being devoured by tornadoes. It was a difficult exhibit. So much excellent destruction - but so much destruction of excellent farm equipment. The Tractor Expert left feeling a little confused, a little philosophical. "Maybe after the tractor was crashed in the storm, someone got the parts and made a new tractor. It could happen." Here is The Tractor Expert with four PA State Troopers. 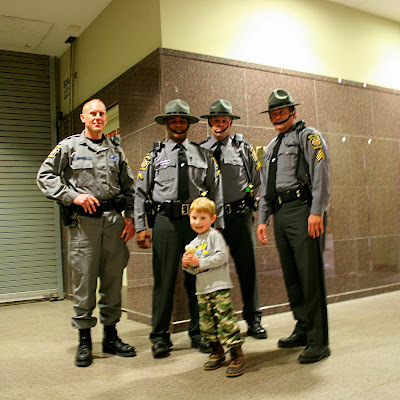 The PA State Troopers were very happy to pose with The Tractor Expert, declaring him "a good kid" and saying, "hey, Buddy, how'd ya like the show?" The Tractor Expert was over-the-moon to be standing with all those tall, strong, uniformed, gun-toting guys. The photographer was also feeling a little verklempt. With the last tractor of the evening. It was an incredible, gigantic tractor. The kind that made you feel good to be an expert in such things. The Tractor Expert gave the great red tractor a hug. Then posed for a photo. And then it was time to go home from the most super day ever. 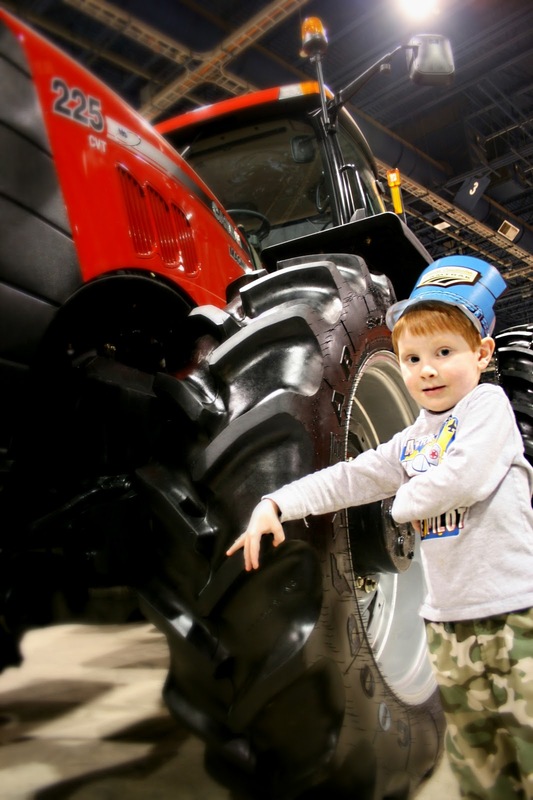 The Tractor Experts gives the Pennsylvania Farm Show two enthusiastic, ice-creamy thumbs up. 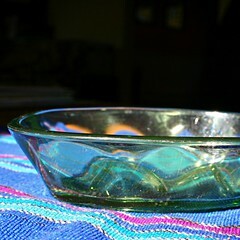 I'm a new follower who is really enjoying your blog. This is a great post...adorable boy, great coverage of that event! I too could tutor calculus using your explanation...still chuckling! Adorable and wonderful. Sounds like a great day! The Tractor Expert is damned cute!!! If I were in his general proximity I would not be able to resist offending The Tractor Expert's dignity by nomming on his cheeks. But that's just me. I wanna hear more about pony vs. llama. @Bev - Thanks! 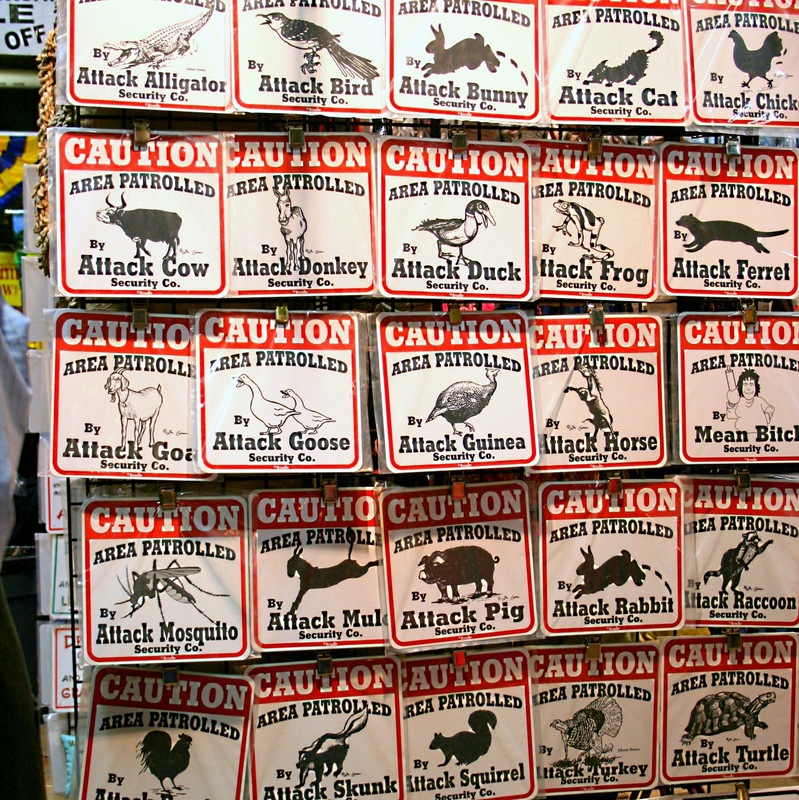 I loved your latest blog post on the 2011 recap! Great travels! 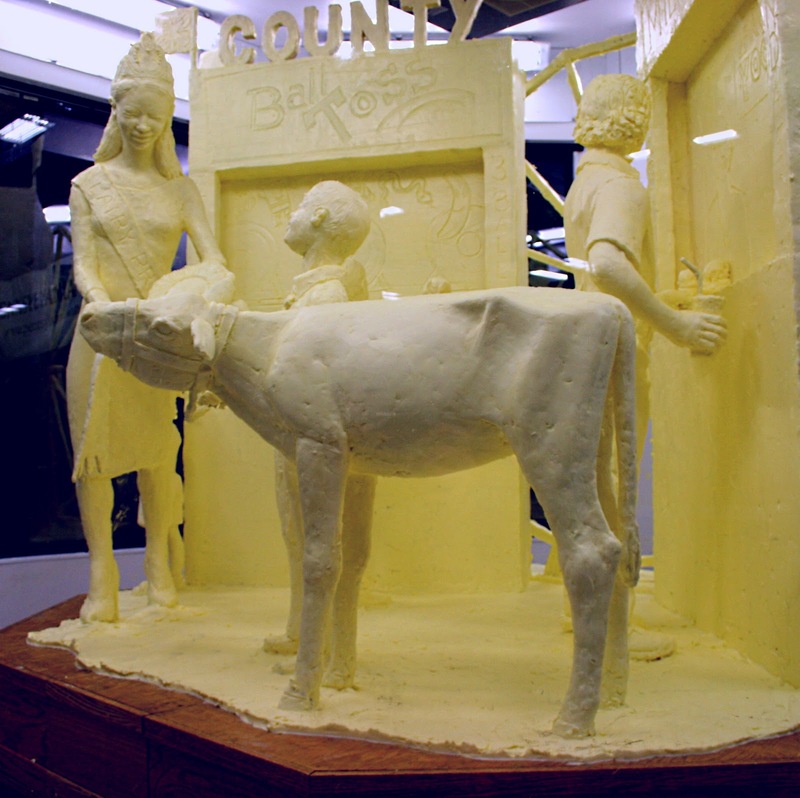 "The Tractor Expert wondered how the Butter Cow sculpture was made." I don't know, but there wasn't much margarine for error. Bwah ha ha ha! "I don't know, but there wasn't much margarine for error. Bwah ha ha ha!" What does it mean that I immediately thought of three people punny enough to make that joke? Turns our it's the one I'm married to. Punster McPlank. BEST THING EVAH!!!!!! omg I laughed, I cried! I love that kid.